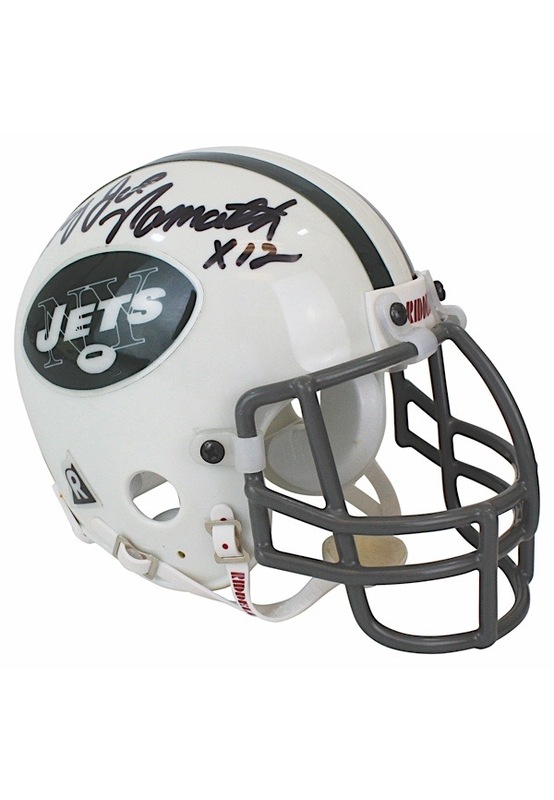 Riddell manufactured New York Jets mini helmet single-signed by Joe Namath. 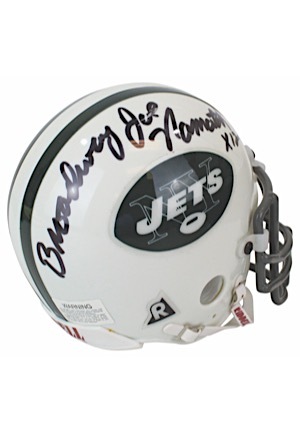 Namath signed as “Broadway Joe Namath” in black marker and in our opinion the signature rates a near 8. Accompanied by a LOA from JSA.